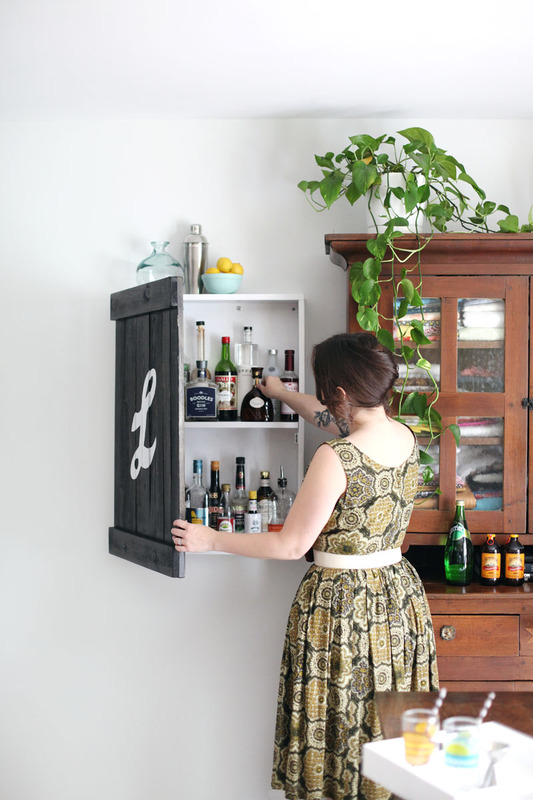 When a cupboard fashion trend is over, drinks are hidden in various cabinets, however, why not to place them (not necessarily all of them) on the table/trolley which the decorations, such as books, glasses, etc., could be matched to? 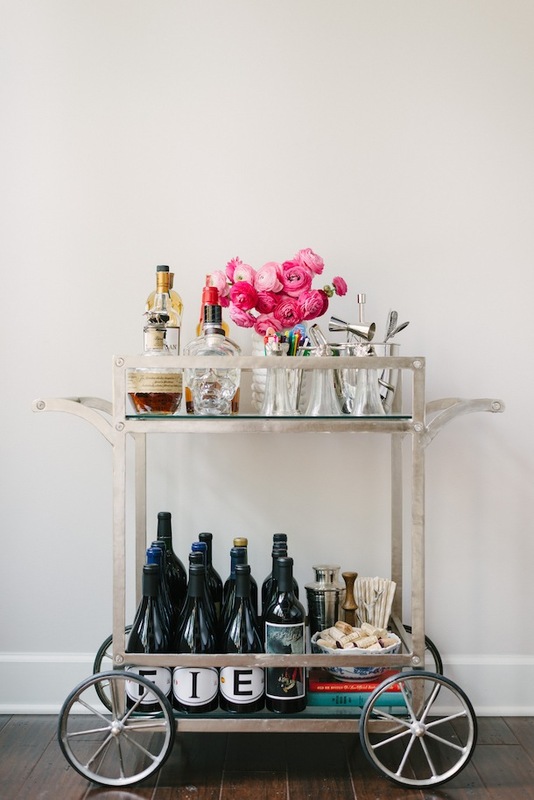 Such a small several-floor bar looks infinitely charming, especially when a nice composition is made with other closely-being things (the flowers are very welcome). 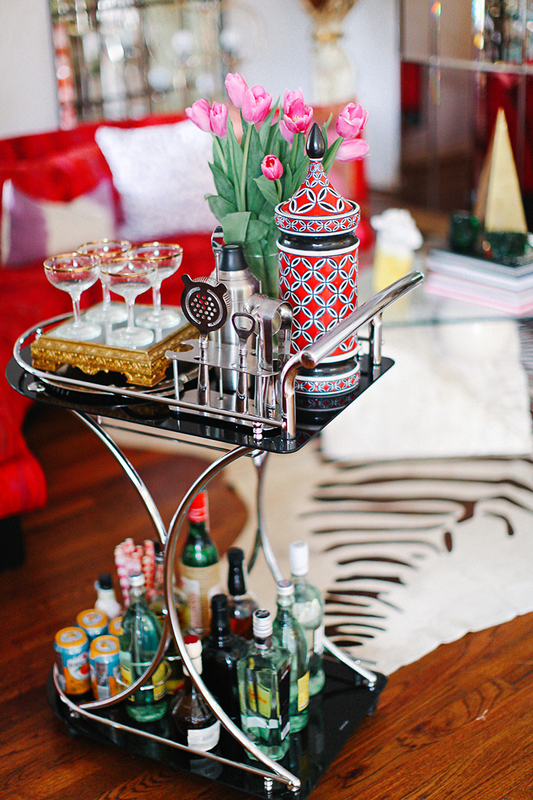 When the guests come it’s very comfortable to have such a “coffee table” next to the main table – you save some space and, in addition, have a very nice focus. 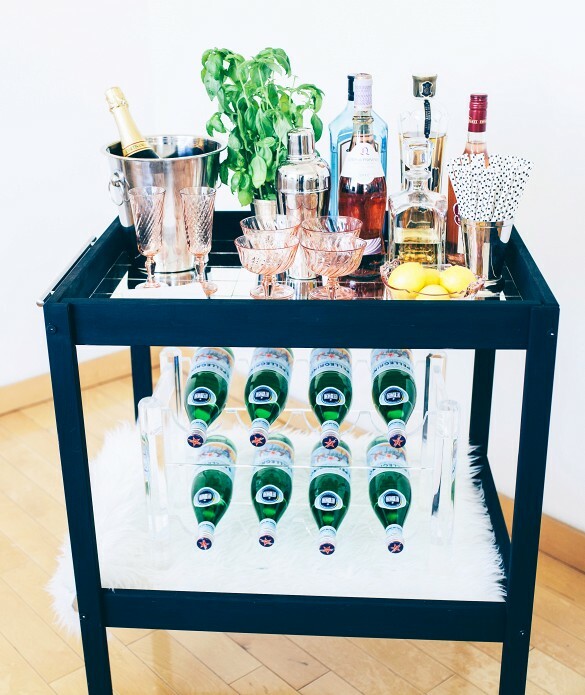 If needed, you can apply such a cart to different celebrations: it’s simply necessary to change alcoholic drinks by non-alcoholic drinks, to add a bowl filled with candies and fruits, to decorate it with several decoration and you’ll not even notice how you’ll have a completely different mood. 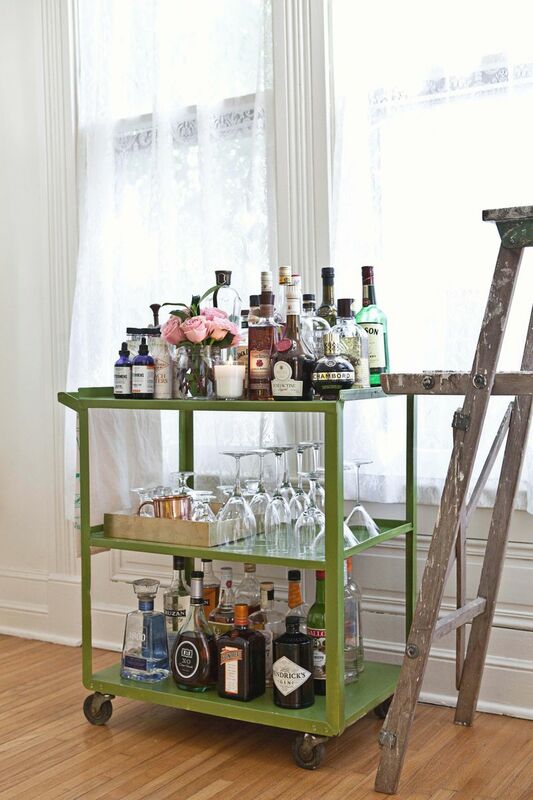 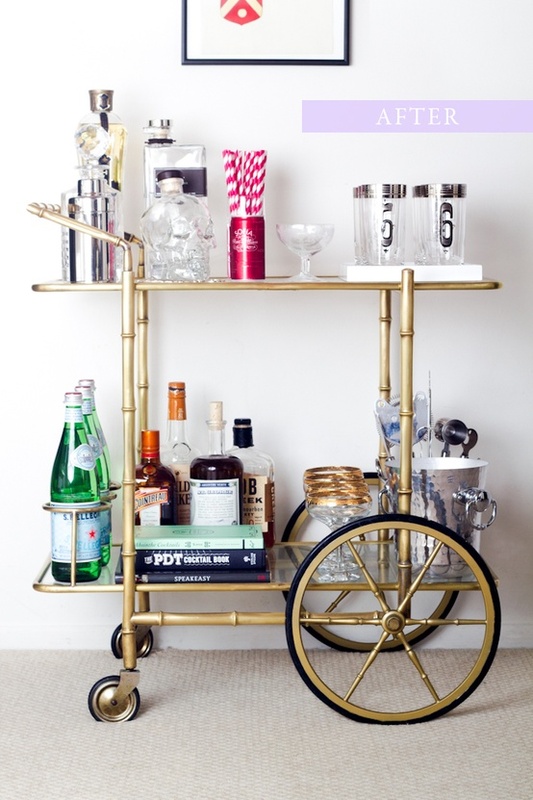 Such a mini bar can also be used for photosessions! 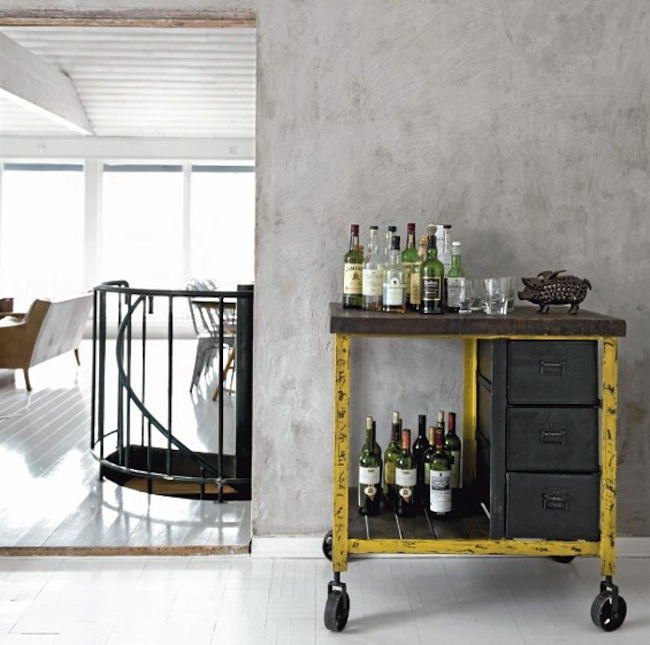 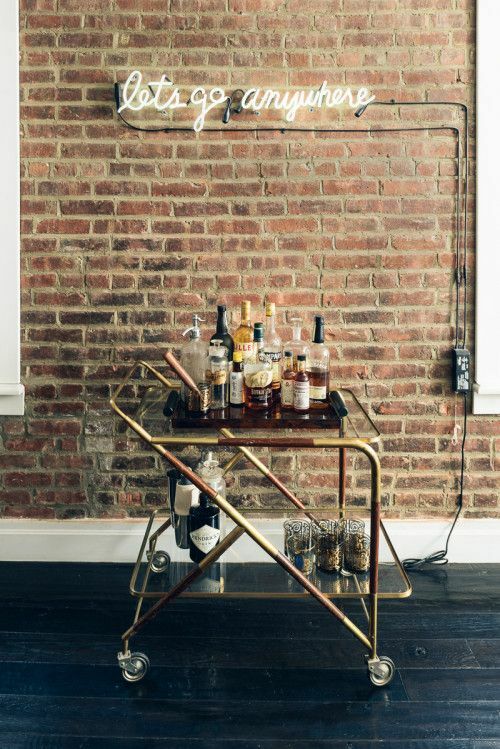 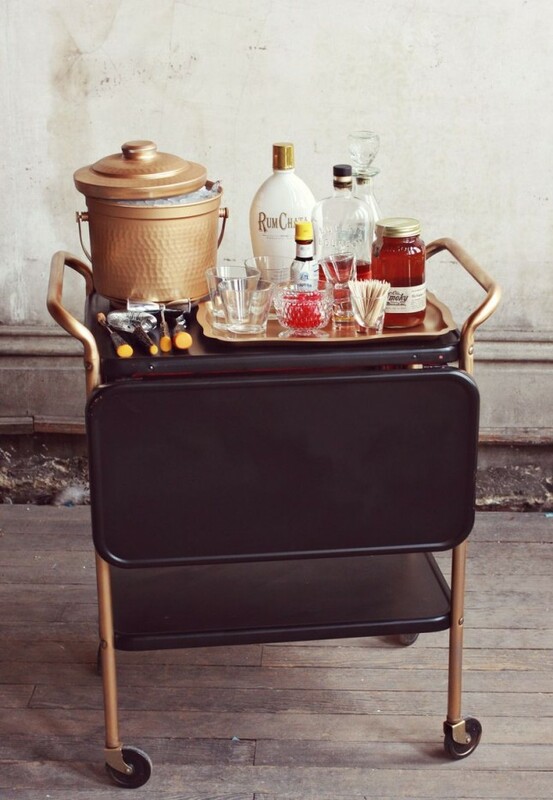 Such bar carts can be bought, however, everything can be done on your own and it’s not necessary to use them by their function, it can simply be the small table next to the bed! 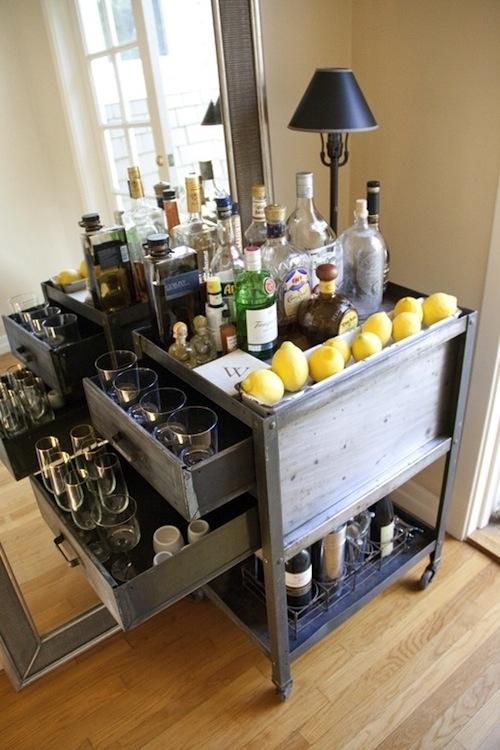 Well, and here you’re going to find some lessons how to make a wooden mini bar. 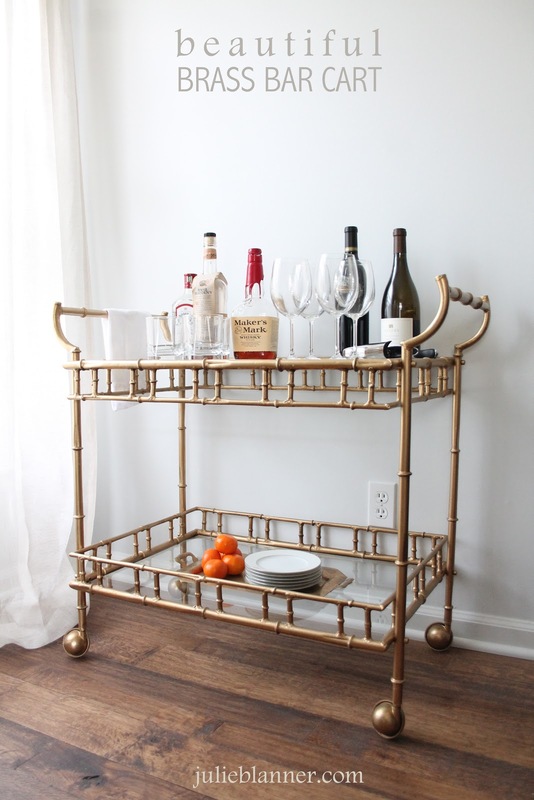 When clicking on the link which is on a picture, you’ll find the lessons how to make such a beverage catchall!